This week focused heavily on the element of teamwork. In every excursion, the need for group effort and support was overwhelmingly present. 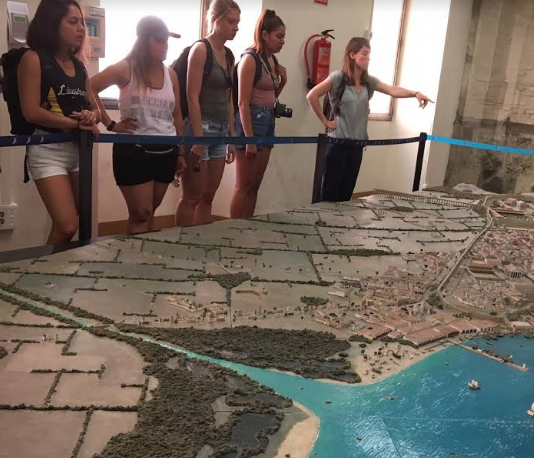 We began the week at a Tapas cooking class, completed our last yoga session and visited historic Tarragona. While our program focuses on individual effort, resilience and motivation, it also stresses team collaboration. This week, we discussed the idea of community resilience, which is defined as the process of communities adapting positively to adversity or difficult situations. While some situations may be more difficult in nature than others, each day was a challenge in it’s own way. Each day, the students came together and persevered. 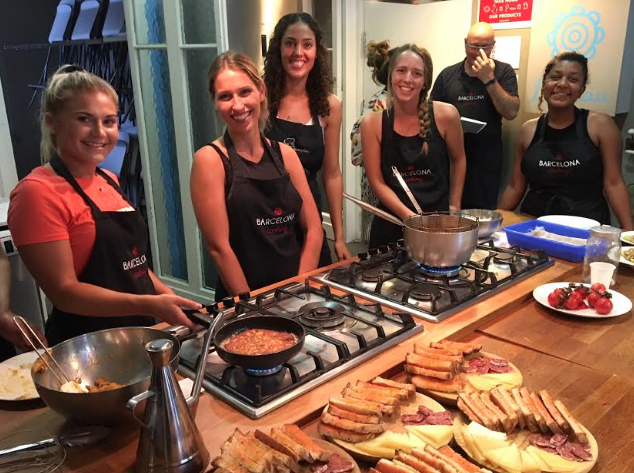 We began the week by attending a tapas cooking session with our host, Chef Johann. Chef began by educating us on the history of tapas. Tapa, in Spanish means, “lid”. 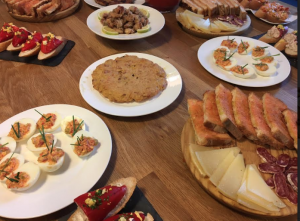 One origin story of tapas goes that back in the 1800s Spain, small plates were placed over wine glasses to prevent insects from contaminating the drink. To make use of the plates, bites of food were placed on top of them for customers to enjoy. There are many clever origin stories of tapas but the true origin is relatively ambiguous. We split into groups to make different tapas. Everyone followed their individual instructions and by the looks of it, you would think that we we’re fairly advanced chefs! Finally, each group presented their tapa and we were able to taste each dish. The group effort was clear in that each group had to delegate, instruct and encourage one another during the cooking process. The kitchen space was small, the recipes were at times challenging, but we persevered and enjoyed tasting each others masterpiece! 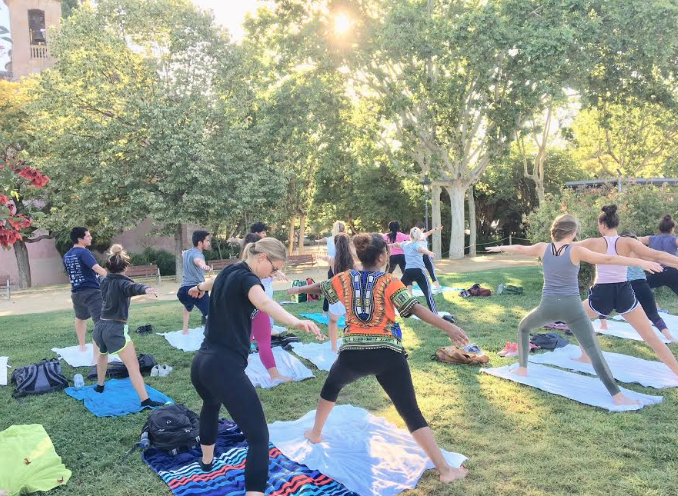 Our third and final yoga session on Tuesday was a huge success! This week’s yoga focused on partner yoga and community resilience. The students paired up to complete a high intensity interval training yoga session. I wasn’t easy on them and they rocked it! When the workout was tough, I heard plenty motivational shouts. “You got this! and “Almost halfway there!” was heard by the partners. After the session, we discussed the barriers to which communities can foster resilience and brainstormed potential strategies in order to increase community resilience. We used data from the foundation, 100 Resilient Cities to compare the various stressors faced by Chicago and Barcelona. While we may feel insignificant when attempting to drive change in a community, it is important to remember that our own personal resilience can set an example. At the end of the day, the group’s bond felt stronger, energetic and supportive. It was very special to watch the student’s work together in this unique capacity. Our last day of the week before the long, holiday weekend ended with our visit to Tarragona. 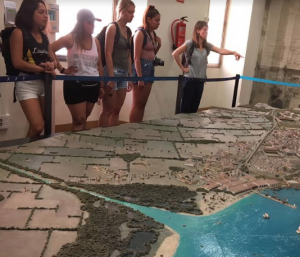 Tarragona is a historic, medieval city of Roman remains just west of Barcelona. We toured the small city streets, ancient Roman Forum, the Cathedral and Amphitheater. 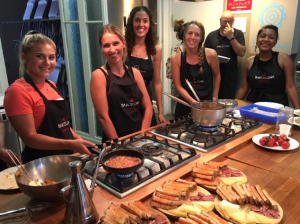 After our tour we enjoyed a local lunch of traditional tapas and bocadillo Spanish sandwiches and made our way down to the coast to begin our hike. 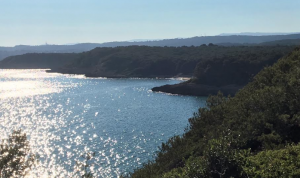 We hiked along the coast up to the small town of Altafulla. Along the way, we stopped for a swim in the turquoise waters and even covered our arms and legs with clarifying clay right from the coastal rocks! The serenity was almost overwhelming. We were quiet as we walked through the beaches and small, shaded forests. It was clear that everyone wanted to savor the peaceful environment around us before returning to busy Barcelona. The week was short but packed with adventure and new challenges. Seeing the students come together everyday to support each other knowing they were strangers a short five weeks ago is mind blowing to me. It’s humbling to know that these individuals find strength from each other and are growing more into who they will become as a result of this experience. As the final week approaches, spirits are high as we’re soaking in all that is Barcelona. 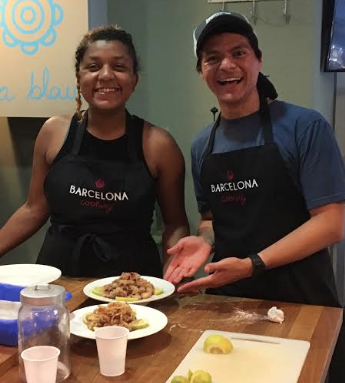 Our tortilla and calamari cooking groups looking professional!